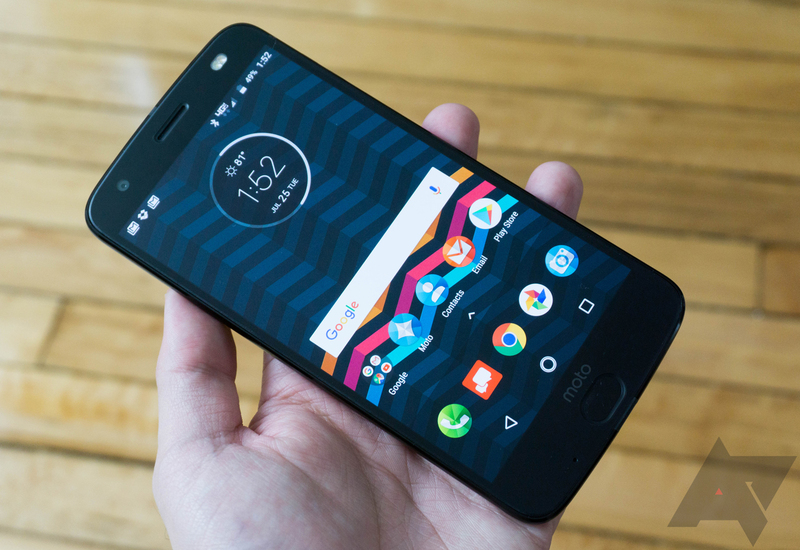 Motorola announced the Moto Z2 Force recently with a price of $800, a full $80 more than the first generation device. That seemed especially bold when Motorola is still pushing Mods that can cost as much as $300. Now, the company appears to have dropped the price without so much as a word. The phone is currently listed on the Motorola website at $720, the same as last year's phone. You can now order this phone for $30 per month with financing via Moto, previously $33 per month. Not a huge savings, but it's more noticeable if you're paying for the device without financing. This leaves the Moto Z2 Force from Moto a bit cheaper than the carrier listings, which are mostly clustered around $750. Although, AT&T defiantly demands $809 for its version. It's unclear if carriers will drop the price, but it seems likely. The new price is, of course, preferable, but it's still an expensive phone when you account for all those Mods Motorola wants to sell you. You still get the free projector Mod when buying at the lower price, though. We've reached out to Motorola to see if there's any rationale for this change. 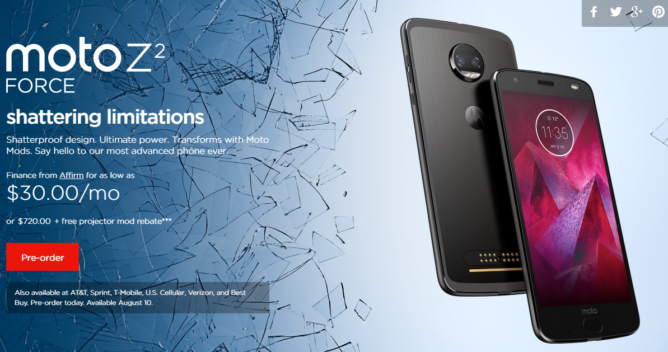 Motorola PR has explained that the price was always supposed to be $720, but for whatever reason, the website and some other sources listed it as $800. There are still Google ads popping up with the "old" $800 price. Motorola says it's working to correct the inaccuracies.